This document has been produced in response to the Canterbury earthquake sequence that started on 4 September 2010 with the Darfield earthquake. The intention of this document is to provide guidance on what should be included in a technical specification when designing and constructing ground improvement (for liquefaction mitigation purposes) for the four ground improvement techniques covered by this document. It is intended that the guidance is used for small scale ground improvement Works as typically required for single residential sites (typically approximately 500m2 plan area). 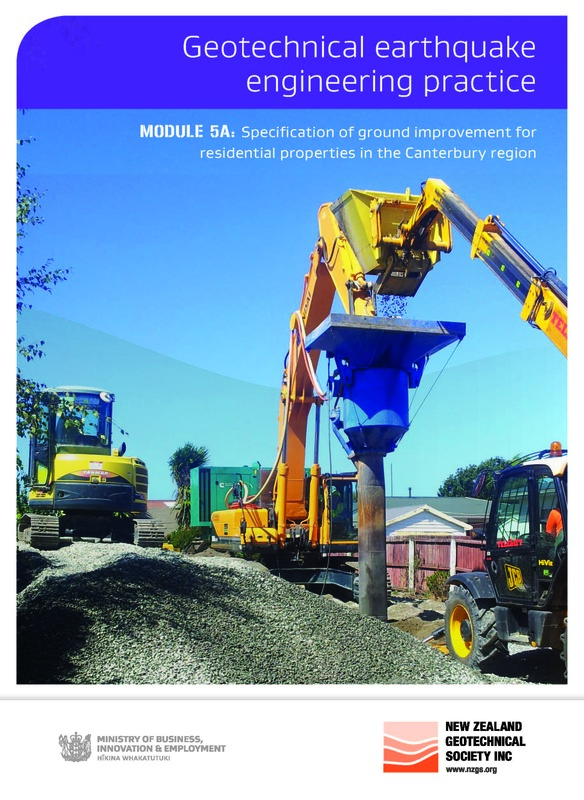 The guidance includes a proposed Preliminary and General specification (section 1), a Testing specification (section 2), a General Earthworks specification (section 3) and four techncial specifications for the different ground improvement options covered.